Creating the highest quality vlogs. We’ve talked about the all-around best tripods, and the best cheap tripods, but today we’re going to be showing you a definitive list of the best vlogging tripods on the market. These tripods have features that make them perfect for vloggers in one way or another, and we’re going to help you understand all of them. 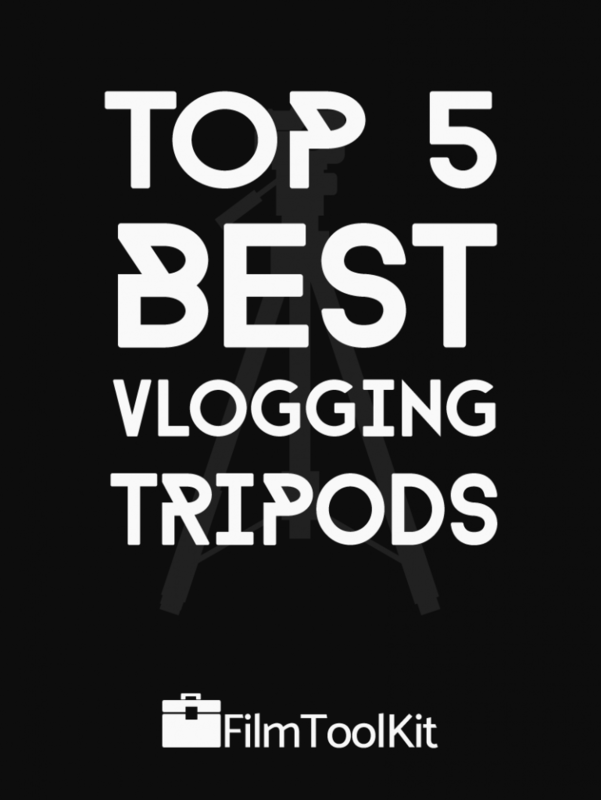 Ranking 5 tripods from best to worst doesn’t make a lot of sense. Why would anyone want anything other than #1? That’s why we’ve picked five tripods that are the best for different reasons. Each one of the tripods in the list are excellent, and will definitely perform very well. All you need to do is read our reviews and check out our section at the end to figure out which one is going to be the best for you! 1 Why Should You Buy a Tripod For Vlogging? Why Should You Buy a Tripod For Vlogging? After you have a microphone and a camcorder, we would argue that a tripod is one of the most essential pieces of vlogger gear you can pick up. Here are a few reasons why you should look into getting the best tripod for vlogging possible. By far the most stable option for setting up still shots. An absolute requirement if you’re looking to record yourself without holding a camera. Necessary for getting smooth pan and tilting shots. Some can be used almost like selfie-sticks. Will be very useful if you choose to venture into other content creation avenues. Let’s not waste any more time and get right into the list! Note: If you’re looking for a eye-level, tall tripod to stabilize shots, please head to the third choice on this list. This one is, in our opinion, the best Vlogging tripod, but it is definitely on the smaller side. 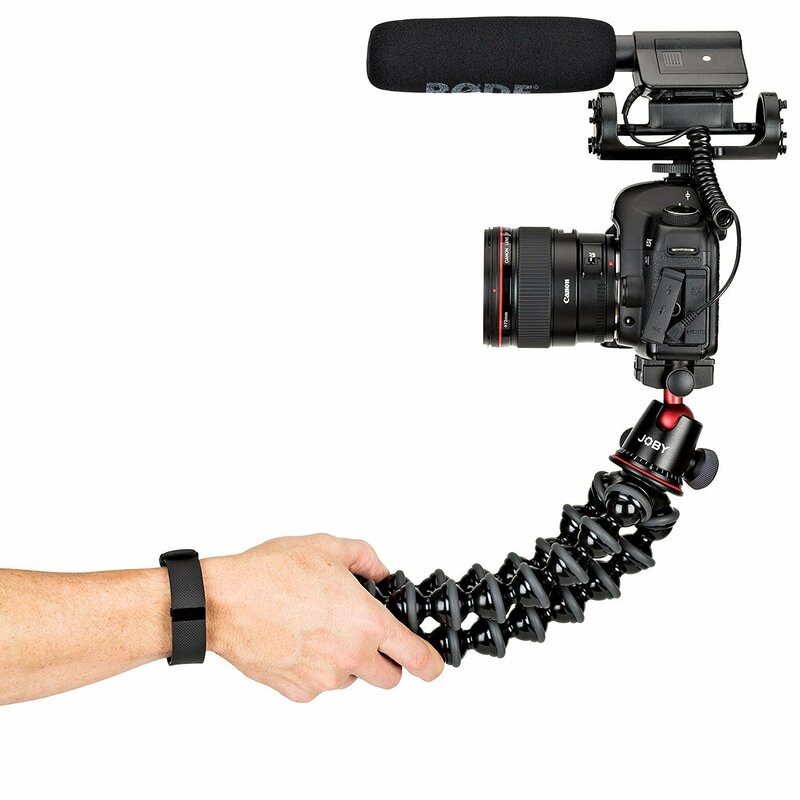 If you’ve watched practically any major YouTube vlogger, I can almost guarantee that you have seen the Joby Gorillapod in action. It’s an excellent product, and this model is the greatest iteration of it to ever hit the market. This is the most stable, versatile Gorillapod ever, and is an essential piece of any serious vlogger’s arsenal. The ability to hold it like a selfie stick makes it perfect for vlogging. If you’ve never seen a Gorillapod before, prepare to be blown away. These devices feature three dozen-jointed legs allowing them to be fully articulated. This means you can hold it in your hand, place it on top of uneven terrain, or even wrap it around trees to get super creative with your shots. The rubber feet ensure it won’t slip around, and even the camera mounting plate can rotate and tilt in any direction to give you full control of your shots. 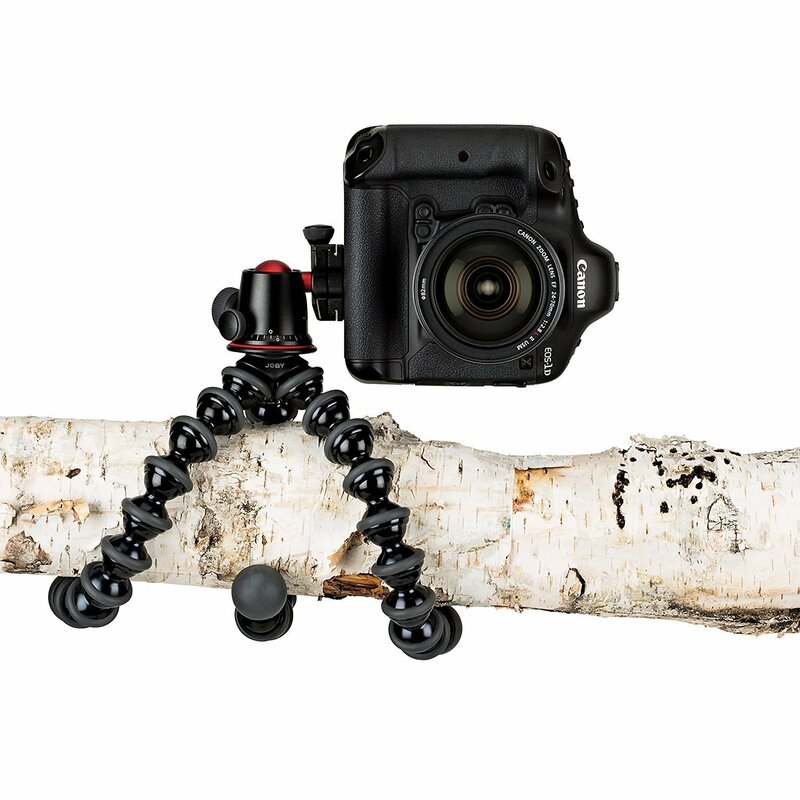 The Gorillapod can be fully articulated to position your camera in any direction. The big changes begin with the material and build quality. The Gorillapod 5k marks Joby’s first device made out of anodized aluminum, rather than ABS plastic. This makes it feel much more sturdy, durable, and also much smoother than the competing models. It is also the only means of allowing the payload capacity to be as high as it is. As evidenced by its name, this tripod is capable of supporting a full 5 kg payload. That’s over 11 pounds. It only weighs around 1.5 pounds itself, meaning it still functions perfectly as a handheld device. This gorillapod feels incredibly sturdy, and is a must-buy for any aspiring vloggers. It even comes with a quick release plate to transition quickly between handheld and tripod shots! If you like the idea of a Gorillapod but aren’t interested in going all out just yet, the good news is you’ll still be able to get a one at a much more affordable price point. At less than half the cost, The Gorillapod SLR zoom is still an excellent product, and an absolute necessity for vloggers on a budget. However, there are even a few advantages to going with the cheaper version of the product! For one, it’s actually a little bit more portable, weighing in at only .75 pounds instead of 1.5. Of course, this means that you’ll only be able to a handle a payload of 6.6 lbs rather than 11, but most content creators at this price range will be under that limit anyways. It’s enough for any DSLR, even with a zoom lens! This lighter form is made possible by a full ABS plastic construction, which doesn’t feel cheap in the slightest. Many reviewers have stated that theirs managed to last them years, and for you it will be no different. You won’t get a quick release plate like the aluminum Gorillapod, but you’ll still be able to achieve all the great creative shots, so this one is definitely worth your money. If size, weight, and price are not going to be an issue for you, this heavy-hitter is the best tripod for vlogging you’re going to find. Manfrotto is a very impressive mid-range tripod manufacturer that we’ve found perfectly strikes the balance between performance and price. The MVH500AH is pretty much the king when it comes to consumer grade tripods. It’s very sturdy, has the best fluid motion head on the market, quick release plates, a ball leveling system, and even a carrying case! The tripod supports rigs weighing up to 11 pounds, which will far exceed even the heaviest vlogging rig you can manage to put together. The tripod itself is 7 pounds, making it very sturdy and stable, but a bit heavy. If you’re a lone wolf and you know you’re going to be lugging your gear all over the place by yourself, you might want to go with our 4th option. The height range is 20″ to 68.5″, which is by far the widest range available on any of these tripods. If you’re going to want to extend to the maximum height, definitely go with this one. What really makes this option shine is the fluid video head. While the majority of the tripods on the list have “smooth motion heads”, none of them are able to remotely compare to the head included with the Manfrotto. This head will give you the smoothest pans and tilts you have ever experienced, and really consistently too. The resistance is very easy to adjust on the fly. We think that if you’re welling to splurge a little bit, this is by far the best tripod for vlogging. What we love the most about this tripod is the ability to adapt it between a Tripod and a full functioning monopod. The only option that has it beat in versatility is the Gorillapod, but even that one can’t function as a full-height tripod. It has the full range of accessories as well. A bubble level, quick release plate, and pan and tilt head are all a part of the package. The entire rig only weighs a little bit over 3 pounds, and even less while in monopod-only mode. Perfect for the vlogger on the go. You’ll even be able to use it as a sort of selfie stick for your vlogs, although it will be a bit less ergonomic than a Gorillapod. It’s maximum height is almost 6 feet, which is as high as you would ever need it to be. Although lightweight tripods are usually less stable, the Z818 uses ingenuity to overcome this drawback. The center of the tripod features a column hook which you can hang weights or a sandbag from! This adds weight to the center of gravity and greatly increases your stability. 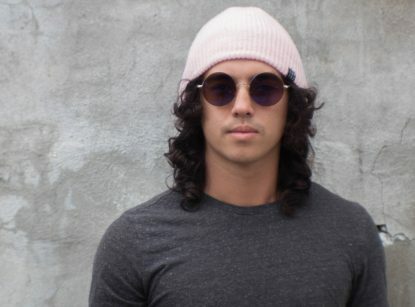 It even comes in 5 awesome colors to help you express your personality! What more could you ask for? Despite it’s frighteningly low price point, the AmazonBasics 60-inch lightweight tripod is of excellent quality, and feels much pricier than it actually is. Its maximum load is around 6.6 pounds, which should be heavy enough for even the largest vlogging rigs you could throw at it. The tripod itself is incredibly lightweight at only 3 pounds, which we think is quite remarkable considering how tall it is able to extend to – 2 to 5 feet! The thread is compatible with all modern DSLRs, and it even somehow manages to include a quick mounting plate, allowing you to rapidly switch between shooting handheld and on the tripod. Quick mounting plates can often cost as much as this tripod, so we like that feature a lot. What really takes this tripod to the next level however is the inclusion of a three way fluid motion head. Like we discuss a little bit later, being able to do smooth pans and tilts is absolutely critical to your vlogs. If all of that wasn’t enough to impress you, there is also the inclusion of two level bubbles to make sure your shots aren’t canted, and a great quality carrying bag to easily bring this wherever your vlogs take you. AmazonBasics has always had an excellent reputation for providing quality products with very low budgets, and this tripod is a prime example of that. Despite being the cheapest tripod on our list, it has just about every feature you could ever want out of a tripod. Sure, it definitely won’t last you as long as the $400 Manfrotto, and the experience might not feel as premium, but it will do everything you need it to better than anyone else at this budget. What else could you ask for? If you’re looking for a tripod for vlogging, there are a few key features you’re going to want to look out for. Here’s some tips to help you decide which tripod will suit your needs the best. We think that portability is probably the number one most important factor when picking the best tripod for vlogging. While heavier tripods are great for videographers and people working in studios, vloggers are always on the go, and when you’re venturing out to shoot some footage by yourself, you’re not going to want to lug a giant heavy tripod around with you everywhere. Although, if you know you’re going to only be vlogging out of your house, or another static location, a heavy, cheaper tripod might be the best choice for you. Heavy tripods are more stable, and are less likely to get knocked over by people or the wind. Height may also play a factor in your decision making process. Taller tripods can usually run you a little more, as well as increase the overall weight of your tripod. Consider what type of shots you’ll be looking to get when selecting the right height range for you. You’re a vlogger, so you’re going to be primarily shooting video. This means you’re definitely going to want to go with a tripod that has a fluid motion head. These are necessary if you want to be able to get smooth pans and tilts while shooting your stable footage. You could always buy one separately, but it would be most cost effective to buy a tripod that already includes one. Keep in mind, some alternative tripods like the Joby Gorillapod won’t have this feature, but we think that’s okay. Not everybody is going to be trying to get the shots that a fluid motion head allows you to get. Besides, a fluid motion head would only be able to be used when you are shooting things other than yourself, so if you don’t plan on doing that, you can save yourself some money! Many tripods will have additional features that can make the vlog production process smoother. Some tripods will feature quick release plates that can allow you to rapidly switch between handheld and stabilized shots. Others may include level-bubbles, allowing you to make sure your camera is level to the ground. Another inclusion that may be very important to you is the addition of a carrying case. Vlogging will typically involve being constantly on the move, and carrying a tripod can be quite unwieldy, especially when you’re trying to lug the rest of your equipment at the same time. Some of the tripods we recommended are very unique in that they have fully articulating legs, allowing them to wrap around trees or prop themselves up on rough terrain. Take a good look at the accessories and features before you pull the trigger on one of our suggestions! Of course, this factor is probably going to have the most weight when you ultimately make your decision. Some of the tripods we recommended can be afforded for under $50, while you could end up paying almost $400 for a vlogging tripod with all the bells and whistles. We of course believe that you should buy the best thing you can afford, but there is plenty of sense in buying a budget tripod. Doing so could allow you to have the extra cash to spend on other crucial accessories like microphones or lighting equipment.